 ACR Addresses Professional Development with Launch of Leadership Institute - ONRAD, Inc.
DiagnosticImaging | The radiology field will soon have a professional development and leadership academy. Next year, the American College of Radiology will open the Radiology Leadership Institute, a multi-level academy that will offer leadership courses and activities. The Radiology Leadership Institute will offer a range of advanced leadership courses, with certificates in Proficiency and Leadership as well as Advanced Proficiency in Leadership. There will also be opportunities to pursue MBA and MMM (master in medical management) degrees from business schools with whom the RLI works, according to the ACR. The academy’s first event will be held in July 2012 at Northwestern University in Evanston, Il. The event will feature radiology leaders and professors from the Health Enterprise Management program of the Kellogg School of Management, one of the first university partners of RLI.